Sharing is the new like. That’s the ethos of Porter Gale’s Your Networking Is Your Net Worth, a new book that guides you through the world of networking in the digital age, where relationships can be launched in seconds on Twitter and then cultivated in a high-tech co-working space like Grind, one of the many innovative locations that provide a space for people to work and expand their network. Available June 4, Your Network Is Your Net Worth has been described as an update to Dale Carnegie’s How to Win Friends and Influence People. But Porter Gale has more in common with Stephen Covey than Dale Carnegie. Like Covey’s Seven Habits of Highly Effective People and Guy Kawasaki’s Enchantment, Your Network Is Your Net Worth argues the case for achieving success by living your life selflessly. Your Network Is Your Net Worth is not about being a better marketer or building a successful career. Your Network Is Your Net Worth is a manifesto for 21st Century living. Follow the principles of building authentic, personal relationships, Gale asserts, and you’ll be a better person who achieves personal and professional goals along the way. 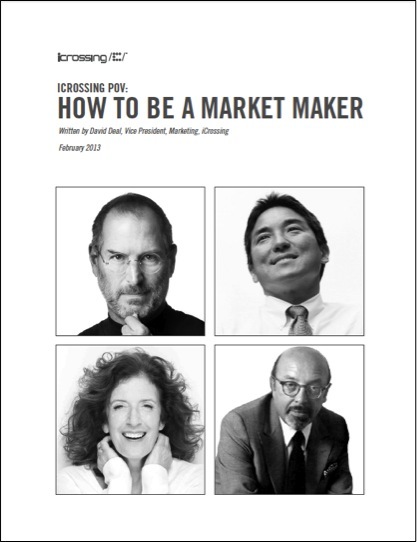 Porter Gale is one a different breed of successful business leader — Guy Kawasaki being another — who I call market makers. Market makers aren’t satisfied with simply selling products and services more effectively (as she did so effectively while CMO of Virgin America); they aspire to change the world by influencing behaviors. Gale, who expands on her ideas in the following interview she conducted recently, is on a mission to show you how to cultivate authentic relationships that reflect your values and passions and maximize your potential. She defines your net worth not by your financial status but by your relationships, happiness, productivity, and job satisfaction. Your social capital, or your ability to form a network of authentic personal and professional connections, is key to building your net worth. And those relationships are formed by giving, not taking. At the heart of the book is the concept she calls Give, Give, Get — or enriching your life by giving to others. “A key to unlocking the hidden power of connections is helping others when you don’t expect anything in return,” she writes. Her book relies on several examples of successful people who build their happiness quotient — for themselves and for others — by giving. For example, the cofounders of VeeV Spirits, Courtney and Carter Reum, live the Give Give Get philosophy by giving 1 percent of their profits to rainforest preservation and environmental causes. They support an ecosystem that supports their business in a sustainable way — its products use the acai berry, an exotic berry found in the Brazilian rainforest. For example, Gale shares the barriers she needed to overcome many years ago (such as having personal feelings of “less than” and never asking for help from others), her passions (storytelling, technology, and health) and her purpose (to inspire others to live productive and happy lives by breaking down barriers and connecting with others). Her point: know yourself. Have your own house in order. Then form authentic relationships that will endure. In the following Q&A, Gale shares more insight into why she wrote Your Network Is Your Net Worth and what she wants you to learn from her book. Your Network Is Your Net Worth has been described as an update to Dale Carnegie’s How to Win Friends and Influence People. How would you describe Your Network Is Your Net Worth? Your Network Is Your Net Worth is a transformational look at personal networking from the inside out. The book shows you how to draw on your passions, capabilities, and network to be the best person you can be. Your Network Is Your Net Worth focuses on building a personal network with a dash of self-help, social media, and a lot of storytelling. What inspired you to write Your Network Is Your Net Worth? I have always wanted to write a book. I actually started to write a book before joining Virgin America, but I got too busy in my role as CMO and needed to put it on hold. Writing is like documentary filmmaking, which I’ve done for a period of years. This book was another way for me to be a storyteller. I had an amazing time interviewing people for the book. I had to live the principles of the book to make it happen, too. I had to networking to find an agent. I had to reach out to people to get interviews for the research. Why did you write a book about networking, per se? I wrote Your Network Is Your Net Worth to show people the power of relationships. I have not always been a great networker. I learned how to develop relationships from others. I wrote this book to share what I have learned. I wanted to reflect on the experiences I have gained from my friends and to express my gratitude. How does this book differ from other books on personal networking? Your Network Is Your Net Worth will not teach you how to build a bigger personal network. My approach focuses on the importance quality of relationships — developing mutually supportive relationships built upon shared values. And the book contains a strong, differentiating theme about giving and helping others. Your Network Is Your Net Worth is a more emotional approach to networking. Your Network Is Your Net Worth is not about climbing a ladder or pursuing a frenzied path toward relationship building; I advocate a more thoughtful approach to build authentic relationships. Who do you picture as the reader? Why should your audience read this book? The book appeals to people we referred to at Virgin America as the creative class — people who are entrepreneurial, creative-minded, and interested in technology. The book really appeals to college-age students who are just figuring out their paths and careers. (I have been speaking at a number of colleges and getting positive responses.) But if you are a senior executive with a well-established career, and you are already locked into a career path, my book can help you, too. My book is about building life relationships, not just business relationships. Building authentic relationships is important to your success overall, no matter where you are in your career. Life should always be about growth, no matter how far along you are in your endeavors. Richard Branson is a role model for learning new things. Even if your job feels the same, you should be growing in your thoughts, ideas, and relationships. I was so impressed by how you shared our own personal barriers to growth in the early parts of the book where you discuss the importance of coming to terms with what might be holding back someone from unlocking the power of connections. Was it difficult to write from such a personal level? Sharing stories can be a really great way to inspire people. A lot of things I talk about in the book — the barriers to my own personal growth — I have never talked about publicly. Throughout my life, people have always told me, “You always have your act together.” But regardless of how people perceive you on the outside, we all have barriers we need to overcome. For my book to be authentic, I wanted share with you how I examined my own barriers to success and turned them into opportunities. I hope that my story will inspire people to address their barriers early on. I would not be where I am today if I had not worked on overcoming obstacles. I also wanted people to know about my background to understand who I am. When you reach a certain level of success, people make assumptions that you were privileged. I actually had a pretty modest upbringing. I learned that hard work is the key to succeeding. In the “Positive Productivity” chapter, you talk about the importance of mixing business with pleasure. Could you explain that point a bit more and share why mixing the two worlds can be rewarding, not stressful? My idea about mixing business with pleasure is this: when you form relationships with people who share your passions and values, you will find areas of overlap. For instance, if you know someone is interested in health and wellness, why not talk business while you are exercising or taking a walk? My advice is to look for areas where business and pleasure overlap and where mixing business and pleasure will be comfortable. My book gives the example of art dealer Wendi Norris, who combines an interest in socializing with her work running a gallery. She has found an overlap between two passions in her life and combines them comfortably. In the “Give Give Get” chapter, you mention that your networking and social media efforts should be based on your desire to connect with people, share content, give insights, and live your purpose. How does one convince people to look past accumulating Facebook friends and Likes and focusing on sharing to give? At the heart of it is this: if you want to have authentic relationships, you need to give value. You need to think about what you bring to the party. The real world of social networking is about the conversation and ideas you bring to the party, not about your ability to slap people on the back (the equivalent of Liking someone’s comments on Facebook). You should apply that principle to the virtual world. Bringing ideas to social media will help you be much more successful. And, also, do not expect anything in return. If you retweet, don’t expect a retweet back. Retweet because what you read is in line with your passions and values. That’s why it is so important to know your own passions and values as you build your network. Doing so gives you a road map for sharing. As your book shows, you masterfully use social media to build your network. You’ve formed some valuable relationships on Twitter, for example. How do you personally guard against experiencing social media fatigue? You have to set boundaries and unplug. It’s also important to use social strategically to build relationships. I focus on using LinkedIn, Twitter, and Facebook. I signed up for other social networks don’t have the time for them right now. Don’t spread yourself too thinly. Use the right tool for you. If you spend all your time on social media, you won’t be out meeting people. One of the undercurrents of the book is how networking can help you flourish during life’s transitions. In the “Shake It Up” chapter, you talk about unemployment becoming a pivot point for positive growth. What are the first three things you should do and should not do to build your network if you find yourself among the ranks of the unemployed? The first thing I would do is look inward. Look at your skills and experiences. Update your online profiles like LinkedIn. Then reach out for informational interviews — but only after you knows what you want. Also, be as frugal as possible to avoid added stress. Don’t spend when you don’t need to. Be as simple as possible. But don’t panic. Don’t react and take the wrong job. Don’t send an email blast to everyone saying, “I just lost my job — help me.” Think about your approach first before acting. In “Three Degrees of Separation,” you discuss another important transition that happens to many of us: relocating whether for personal or professional reasons. You state that in the past, it took at least two years to connect and feel grounded in a new environment but that technology has reduced the time a person needs to adapt to a new surrounding. Let’s say you just got transferred from New York to San Francisco. How would that relocation differ now than it did? What should you do to use tech to reach up? Because of social media, it takes less time to adjust to a new setting. The world has moved from six degrees of separation down to four. If I move from New York to San Francisco, I already have a bunch of people via social media in my network. You can reach out to your existing people to learn. You can do one-to-many communicating. You are much more efficient with technology and tools to link with others. Technology is the accelerator. That’s why we can get connected more quickly. If you do need to relocate, I would recommend that you go beyond technology and look for appropriate groups or clubs that are specific to their passion or industry. Another main undercurrent of the book is the importance of helping others. Might you provide a few examples of someone notable who does a great job helping others and benefits from such an approach? I am very inspired by Richard Branson. He is a wonderful man and very empowering and supportive of people living at Virgin. He really is about giving and helping others. He’s a humble and kind person. I am also inspired by Spanx founder Sara Blakely, who is giving her wealth away. Richard and Sara are great role models. They have had achieved great success. And it’s part of their DNA to help and to give back. So having a mentality of helping and giving is part of what’s made them succeed. I love this quote from the “Build Out Your Core” chapter: “But often we forget to tell people in our core or secondary circles that we value and appreciate them.” Might you give me an example of someone who has shown appreciation to you in a memorable way? Why was it memorable? In the book I tell the story of Liz Rowan, a young woman who became close to me while she was fighting cancer. She was 4 years old when I featured her mom in a documentary that I made about breast cancer survivors. Her mother died when she was only 6 years old. Many years later, Liz reached out to me on Twitter and thanked me for making the documentary, and she let me know the movie had connected her with her mom. As a result, I made a meaningful connection with Liz. Sadly, Liz passed away of cancer. To honor Liz’s memory, my daughter Rylee did a garage sale benefitting the American Cancer Society. Rylee sent a photo of the garage sale to Liz’s dad, who was moved to thank my daughter. Liz’s dad sending that card of thanks to Rylee has been powerful to my daughter and me. We have such a special relationship with that family. We feel connected to them. The focus on the importance of physical spaces in the “Power Pockets” chapter is fascinating: What are the best power pockets you’ve been to around the world? My all-time favorite is The Lobby conference, a highly curated group of 300 people who are hosted by David Hornik. I have met most fascinating people through The Lobby. I also like TEDx events that operate under the TED brand. SXSW Interactive is also fun. Those are the ones that are interesting to me. I am also thinking of joining a co-working space, which provides an environment for people to work and network. Your book also profiles “hub players.” How do hub players differ from well-connected people? Hub players aren’t just well connected. Hub players help others. It’s not just that hub players have big networks — they have active network. Hub players are like electricity — they provide that power that surges through a network. For hub players, it’s the quality of their network and their role in bringing value to the network that matters. In the Chapter “Everyone Is a Producer,” you stress the importance of being a content creator, which I think many people might associate with blogging, shooting Vine videos, or writing. Why is it so important to create content to build a network, per se? Content can consist of anything you bring to the table: products, services, and ideas, or intellectual capital. Blogging might not be what you want to do, but hosting a party and sharing ideas can be your forte for sharing content. Creating content gives people an opportunity to authentically connect with you. You create conversational moments and exchanges of value when you share content. People who bring ideas to the table can have stronger relationships than those who just take. We live in a visual age. Who does a particularly good job sharing visual content? In the book I discuss Brit Morin, the founder of Brit & Co., who does a great job sharing visual content. She frequently posts ideas for creative living and relies on visual content to do so. She does an amazing job. Randi Zuckerberg is doing so in the tech and mom space. She’s one to watch. We have moved from sharing words to sharing imagery. That shift in the way we share content is one of the reasons Instagram is so successful. I think we are going to do a lot more sharing of visual content in the future. Visual content is more emotive. Visual content appeals to good marketers because visual content, like marketing, is about storytelling and being authentic. False histories and campaigns don’t work. Good marketing is about being real. Bottom line: what should I do tomorrow to get started cultivating my network? Look inside yourself first to find your authentic foundation. Use the tools in the book to understand what you are passionate about and what you want to accomplish before you cultivate your network. Anything you would like to add in closing? I have a lot of gratitude for people who shared their stories in the book — people who helped me with their time and insights. Your Network Is Your Net Work is not just my story but also a collection of many others. I hope people find their stories inspiring and that you find joy, happiness, and success. For further reading, I encourage you read this interview with Porter Gale on Social Media Today. This entry was posted in Marketing, Social media and tagged Brit Morin, Carter Reum, Courtney Reum, Dale Carnegie, David Hornik, Facebook, Guy Kawasaki, How to Win Friends and Influence People, Porter Gale, Randi Zuckerberg, Sara Blakely, Spanx, Stephen Covey, SxSW, SXSW Interactive, TED, TEDx, The Lobby, VeeV, Virgin America, Your Network Is Your Net Worth. Bookmark the permalink.